The German folk song Es sungen drei Engel was originally a 3-part choir piece with a bass part added later. 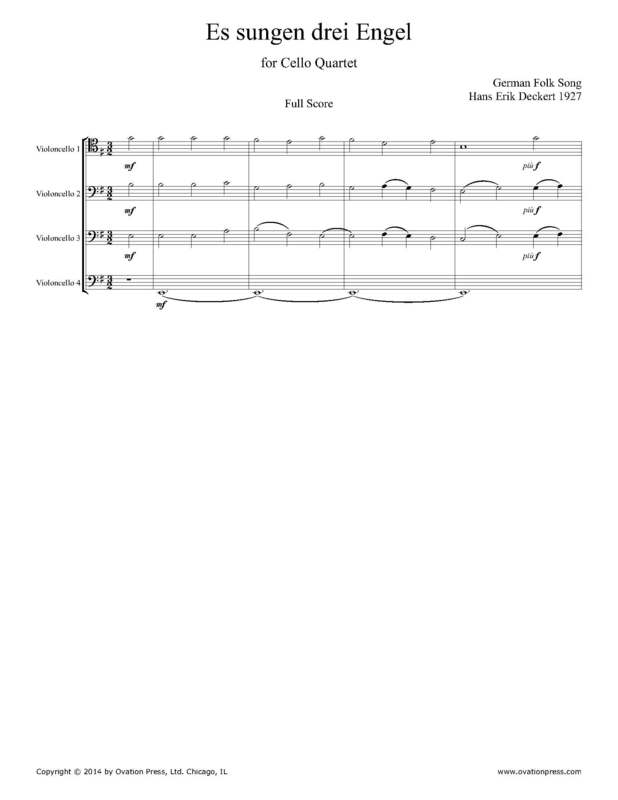 This arrangement for cello quartet is exactly like the choir version. The original folk melody is played by the first cello part. This arrangement can also be played without the bass line so it is like the original 3-part version.